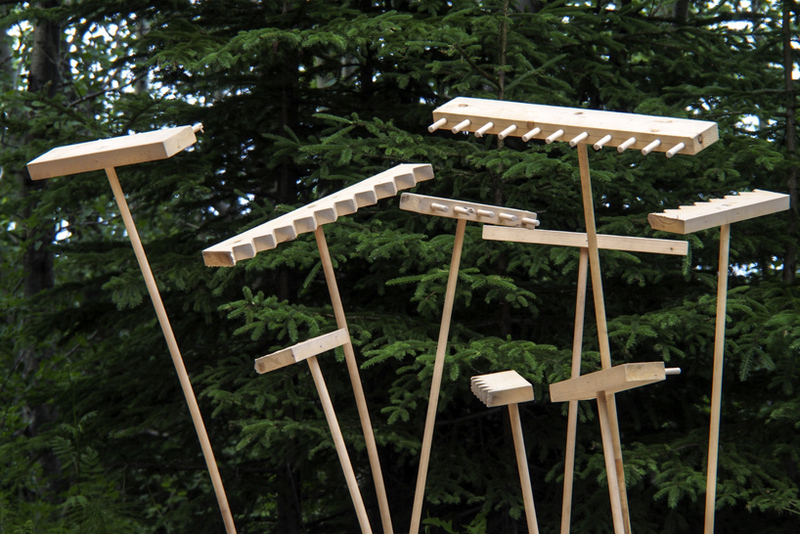 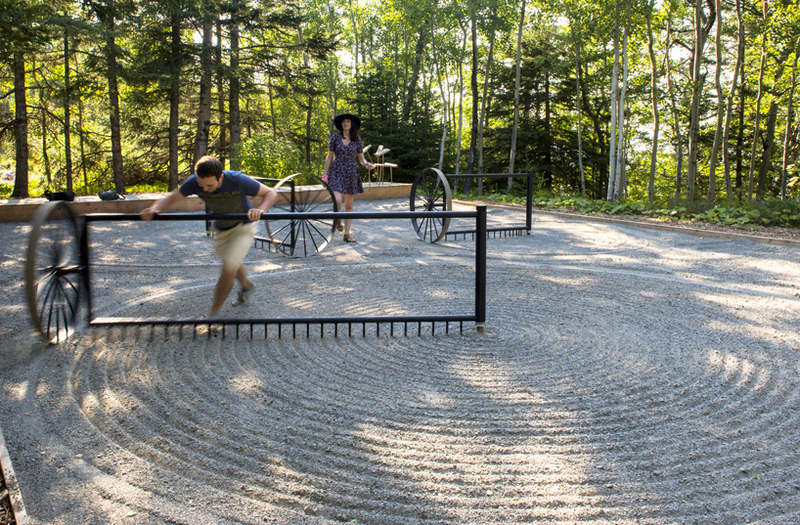 at the international garden festival in quebec, canada, tel aviv-based studio talmon biran architecture have realized ‘around-about’ — a ‘dry landscape’ installation informed by the concept of japanese zen gardens. 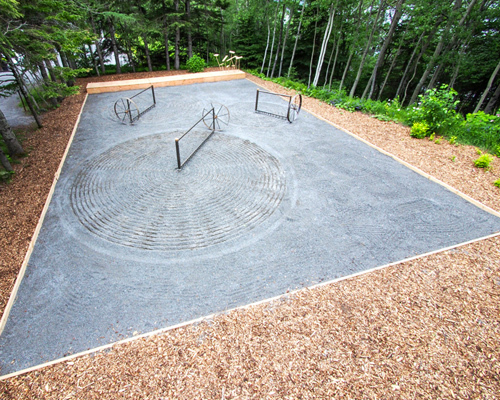 within a large landscape of grey-hued gravel, three large roundabouts are placed. 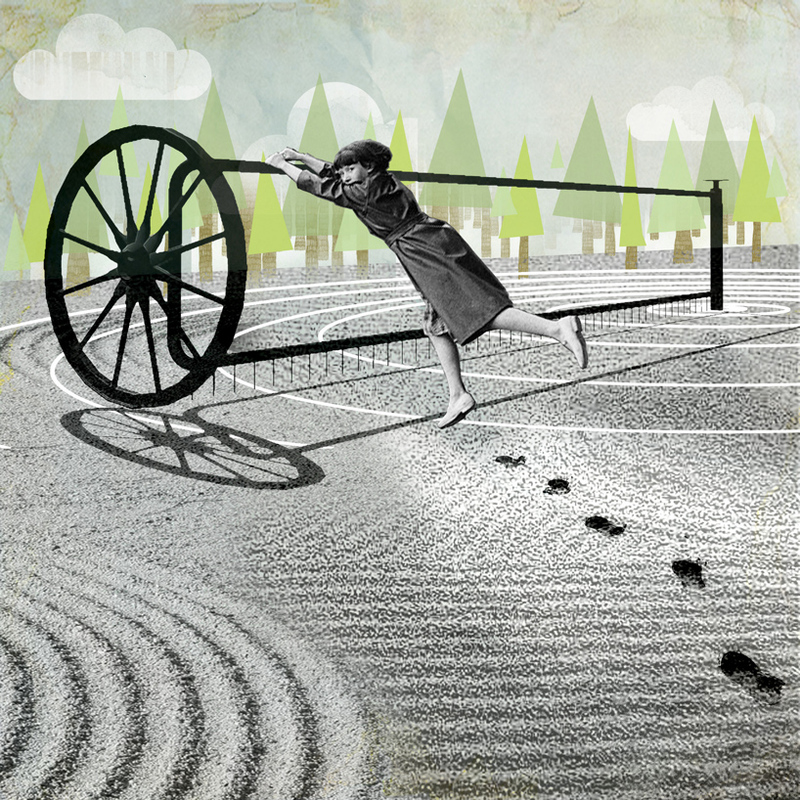 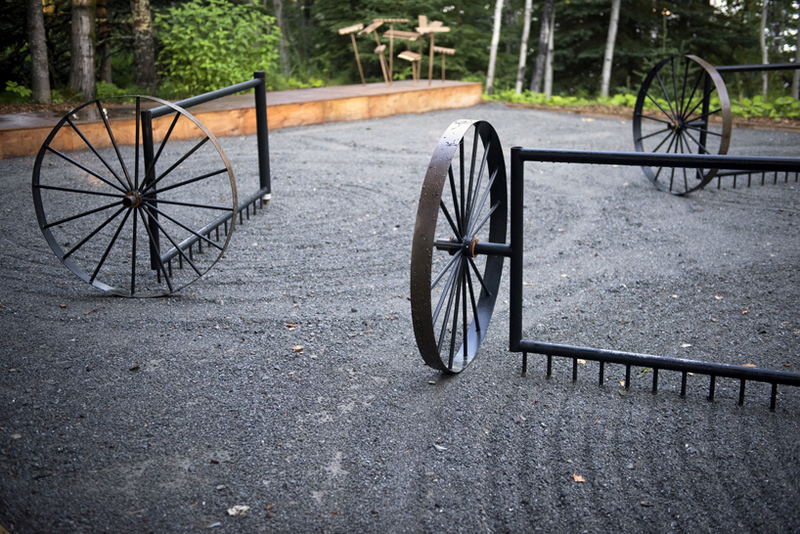 these tools — whose design references agricultural machinery — include tines bellow their bottom beams, which rake the gravel in circular patterns as they spin. 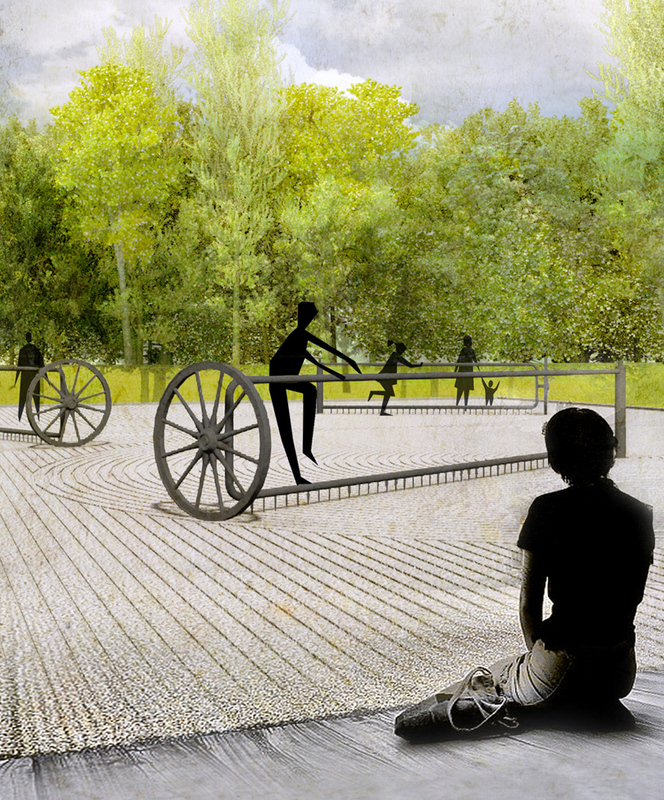 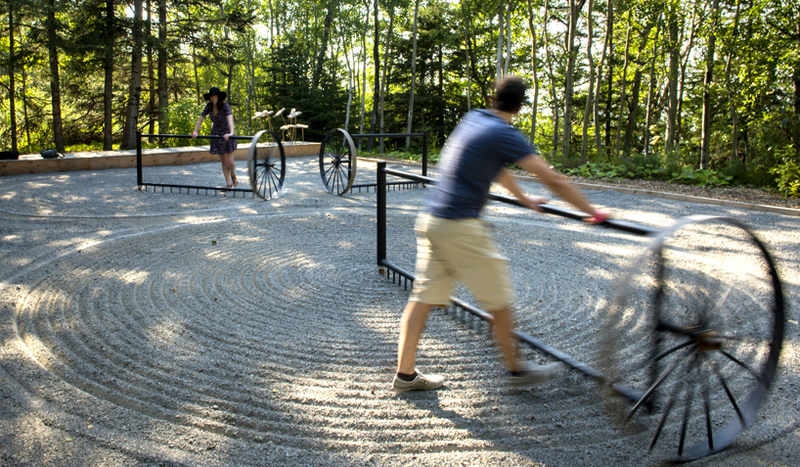 activated by the audience, the composition of the garden is constantly rearranged by the various moving parts, offering participants an unfamiliar experience inside a zen garden, rather than from the outside. 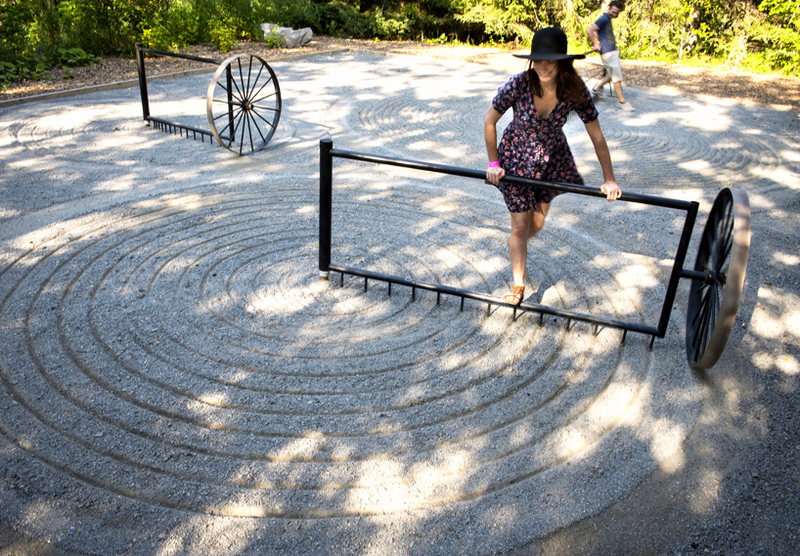 ‘around-about’ acts at the intersection between order and disorder, where the entire garden works both in harmony and in precise proportion to itself and its surrounding environment. 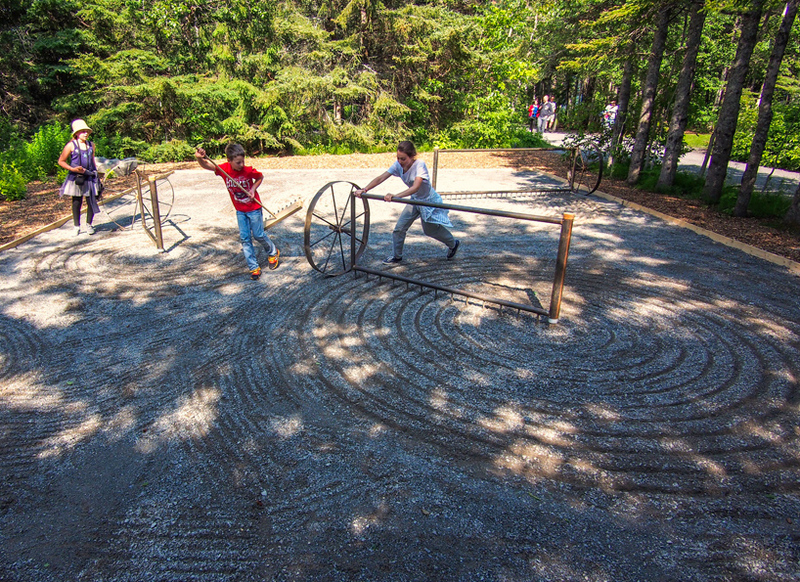 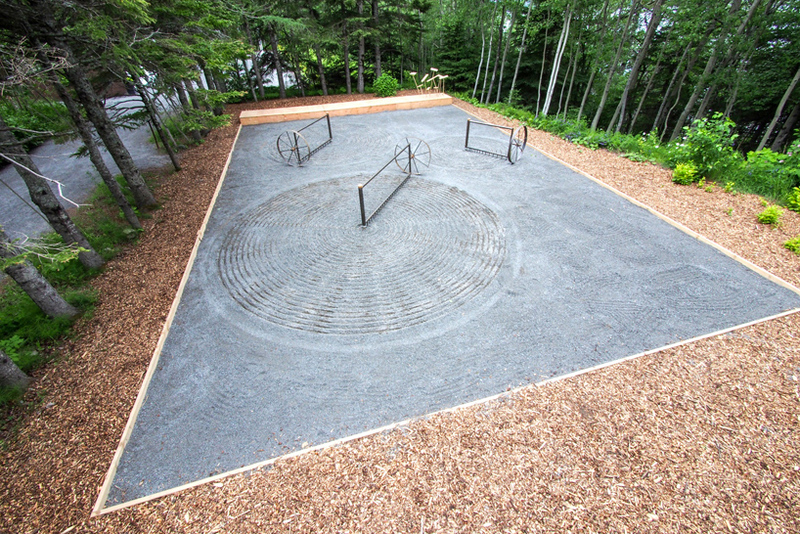 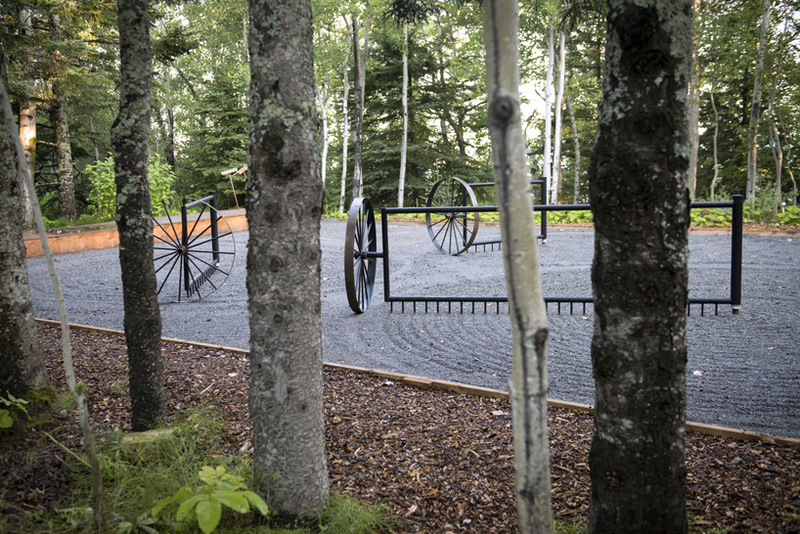 as visitors walk away from the site, their footsteps interrupt the orderly pattern of the gravel; once they return to the installation and spin the roundabouts, the garden returns to its original tranquil state.